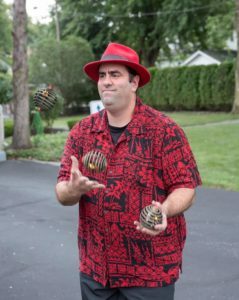 Summertime is perfect for barbecues, luaus, and fire juggling! We’ve been having a lot of fun with fire juggling this year! From Christmas in July luaus to pool parties, we’re lighting these bad boys up to entertain guests of all ages. It’s a great add-on to make your upcoming party truly one of a kind! For details and pricing, be sure to e-mail us!